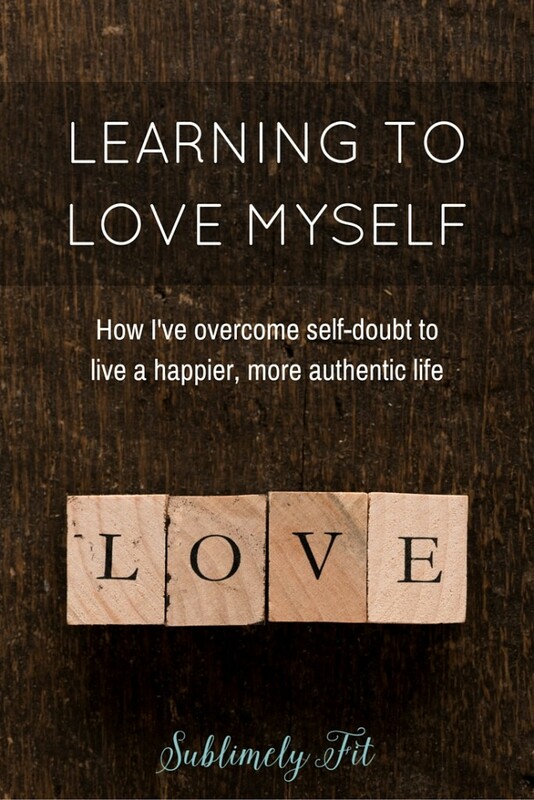 One of my favorite parts of February is having a great excuse to talk about self-love. It’s something that many of us struggle with, myself in particular. I am definitely my own harshest critic, and I constantly worry that the things that I do out of a good, compassionate place in my heart will be taken the wrong way. I often assume that people will think the worst about me, overlooking my very real desire to help people live their best lives. It’s something I still struggle with it, but I’m getting better at coping with it every day. Self-love is often a journey for those of us who struggle with it. Like any other difficult thing in life, some days it’s easier and some days it’s harder. For me, when I’m feeling anxious and stressed out, I find the voices of self-doubt are louder. I start to question who I am, but in particular I start to question how others see me. What has helped me tremendously is to remind myself that 1) I am in control of my thoughts, and 2) what’s most important is that I’m living closely to what I feel is my true mission in life. When I’m following the path to my true self and what I’m meant to do, I’ll be content knowing that I’m fulfilling my purpose and making a difference, and I know my authenticity will shine through at the same time. Do you struggle with self-doubt? @sublimelyfit shares her journey and how she’s able to quiet those thoughts. What has helped me is training myself to stay present and be mindful, which, if I’m being completely honest, I do still struggle with from time to time. But, it’s a journey, and it’s all about getting a little better, day by day. What has helped me the most is my yoga practice, where every time I come to my mat I’m reminded that yoga is a metaphor for life. When I learn to stay present on my yoga mat, when I focus on my breath and the sensations in my body, I’m training myself to also focus on the things that matter in my real life. I’m training myself to drop thoughts of “I can’t” and “I’m not good enough” and to simply be and do, without expecting anything out of myself other than I live authentically. The mental training of my yoga practice has had such a huge impact on my life, allowing me to effectively manage my stress and anxiety on a daily and even hourly basis. I was lucky enough to get to go on a trip to Florida last weekend where I worked with my business coach to try to figure out my purpose in life and how I can create a life and a living out of that authentic true purpose. After talking with a lot of the women on the retreat, I came to realize that the mental training I’ve been doing to help me release my stress and anxiety could be incredibly helpful to others, too. So, you’ll be hearing more from me as I work to help others who are struggling with the same issues, and teach them the same techniques that have helped me stay present and live a happier life. If you’re interested in learning more, I plan to launch a mini-course hopefully later this week about using movement to help focus the mind, overcoming stress by transferring tension to the body and breath, which can then be released more easily. I’m also holding a free Overcoming Stress Webinar later in the month, which I’d love to have you sign up for if it’s something you’d be interested in. If not, but if you know someone who you think would be helped by this message, I’d appreciate it if you would share the webinar with them. It always makes my day and even week when my students tell me that they leave after class feeling better and more relaxed than they were coming in the door. I’m hoping to help more people achieve that same feeling, helping them to live happier, more authentic lives, too. What’s your favorite way to reconnect with yourself? I can’t seem to focus/relax to be present in yoga. So proud of you. You are such an incredible woman, gal, lady. Just one of the most genuine people. I wrote a post about self love last year for fitzala, and in it, I talked about the reason why it can be so hard to love yourself: you are in a relationship. And relationships are complicated and complex. They can take you to dark places. But with work, they can be the best thing to ever happen to you. I am taking a stress management course now in school and it’s been quite helpful in managing my own stress. You are an inspiration for others! It’s not an easy thing to deal with in life. Look at you Mrs. Business. I’m glad you had a great trip and came back ready to take on the world. I think we are similar in a lot of ways and I love watching your journey bc it shows me that I can also do those same things! Anxiety and stress are definitely a struggle for me. I recently started teaching yoga (finished training last year) and really hope that the people that attend my classes do end up more relaxed and present. I know that is one of my reasons for practicing yoga. It is still hard for me though to practice on my own and be present. Still a work in progress. Checking my schedule to see if I can attend your seminar. OMG girl, I am the self doubt queen! I mean, check out my post from this past Monday and you’ll see how much it takes over my life! I am super anxious and I’m definitely interested in learning how to get a better hold of my anxiety through yoga and running. I am interested in the webinar, but living in Alaska means that it will start at 4:30 my time, and I won’t be off work until 5. Is there any way I could sign up to get it sent to me after it’s over? Or any other way to get the content? I’m really interested, but just can’t make these east coast events work for me anymore!